The Cosmetic Clinic is actively seeking new franchisee partners to share in our success, and help make what we do accessible to more and more people across New Zealand. As one of New Zealand’s leading providers of Laser Hair Removal, Skin Rejuvenation Treatments and Cosmetic Injectables, The Cosmetic Clinic is also one of the fastest growing brands in this lucrative and rapidly expanding industry. There really has never been a better time to join our award winning team. We’re part of an international network that was established by a cosmetic physician in 1996 and is now made up of over 60 clinics. We’re very proud to be recognised and trusted as an authority in cosmetic medicine. Demand for our services has never been higher and so we are actively seeking expressions of interest to help take our brand into more regions across the country – making what we do accessible to all New Zealanders. We’re part of a larger network that was founded in 1996 by a leading Cosmetic Physician, and further developed into a highly successful franchise business by Deb Farnworth-Wood. Deb’s background is in the management of large multi-disciplinary health-care organisations such as GP Services, Day-Case Surgical Units, Pharmacies, and Surgery & Aesthetics. Cosmetic medicine is at the very heart of what we do, and this is evidenced in our strict treatment protocols and strong commitment to staff training. At The Cosmetic Clinic we understand the role that training plays in the success of our brand. This is why we train our team to the highest Australasian standards, following the strictly regulated levels of our international network. While this is not a regulatory requirement in New Zealand, we believe it is a key factor in what sets us apart from our competition. We have an exceptional training team on the ground here in New Zealand, ensuring our staff delivers global best practice every day. The perfect mix of business expertise and years of industry experience have come together to develop a finely-tuned business model with unrivaled systems and exemplary training protocols. As we continue to add new clinics to our network, our New Zealand business model will further refine to ensure we deliver the ultimate brand experience for our customers. While there are no guarantees with this or any business, we will work closely with you help you get the most out of your franchise investment. The Cosmetic Clinic has a strong New Zealand-based management team, who are all owners of one or more TCC franchises in their own right. This means they are in a very unique position to help all new franchisees successfully navigate through the process of starting their own business – drawing on their positive experiences and avoiding any unnecessary negative issues along the way. This is an excellent foundation for success for everyone that joins our fast growing network. Our Chairperson Selina Gilsenan has a strong corporate background, following on from a highly successful career of elite-level Netball for the Australian Diamonds. Both tenures have allowed her to develop a unique understanding of what it takes to build a winning team culture, based on exceptional performance and a passion for success. 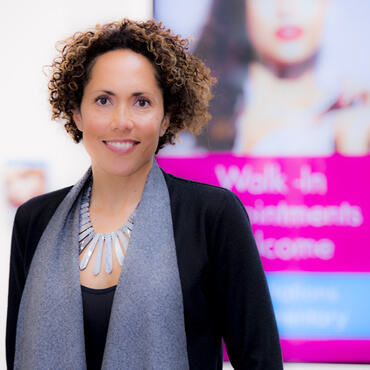 Rosa Guthrie founded The Cosmetic Clinic with Selina, and brings a wealth of industry experience to our group. 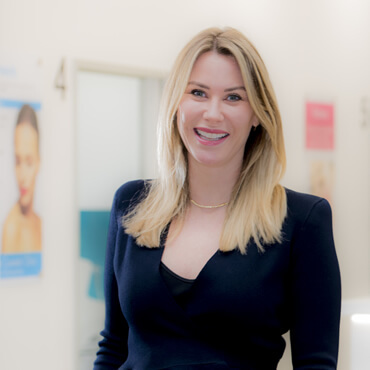 Having worked in the cosmetic appearance sector in the UK and more recently in a team that rolled out close to 40 Laser & Skin clinics across Australia, Rosa helps ensure all of our new franchisees hit the ground running. Sam Wilson has been with The Cosmetic Clinic since we began in 2016, and heads up our experienced NZ-based training team. Previously Training Manager at the Elite School of Beauty, Sam has been at the forefront of training in our industry for more than 15 years. Sam has a strong focus on treatment protocols and this ensures all of our clients receive the very highest levels of care. 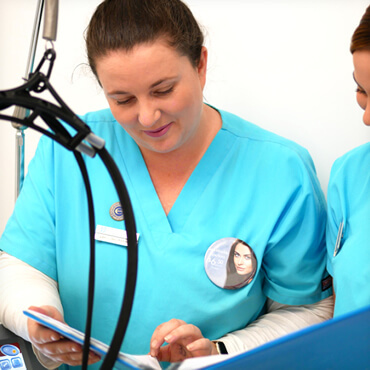 Hear from some of our recent additions to the franchise network about why they chose The Cosmetic Clinic, how they have found the franchising process to date, and what advice they would give to anyone considering coming on board. ARE YOU OUR IDEAL FRANCHISE CANDIDATE? For further information on franchise opportunities with The Cosmetic Clinic please contact us today!